FC Locksmith provides an extensive service aimed at providing the best level of service and expertise to the people of Oakville and the surrounding areas. We offer residential, commercial, and auto locksmith services on a 24-hour basis. 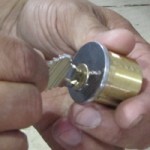 FC Locksmith is home to a team of fully-trained professional locksmiths capable of addressing the needs of your home. Whether you need a lock replacing, a burglar alarm fitting, or the addition of security devices, we can arrange for a quick and hassle-free solution. We also provide a full security evaluation program, which includes checking all windows, doors and locks are in full working order. 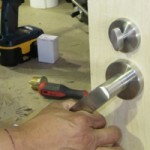 FC Locksmith provides a similar service for Oakville businesses. Regardless of the size of your business, we can arrange for all your locksmith needs to be rectified in a timely fashion.We specialize in providing businesses with high-end security systems as well as attending to small, but no less trivial, tasks such as key duplication and lock repair. Our 24-hour service also means that we can help you out even if you’re working the night shift. As well as providing locksmith solutions for your home or place of work, we also provide auto locksmith services throughout Oakville. If you need a new key or a transponder reprogrammed, simply give us a call. All of our services are provided 24 hours a day, and available in emergency circumstances. This includes lockout assistance for those that find themselves unable to gain access to their property. Call FC Locksmith today to find out how we can help you.